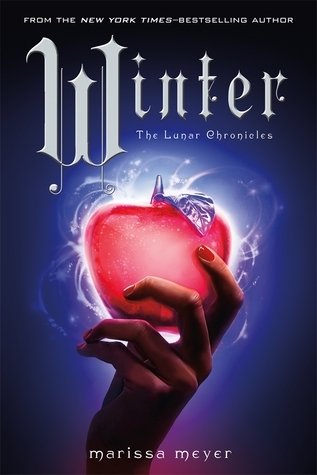 Continuing on my feature of Marissa Meyer’s incomparable Lunar Chronicles, this week’s feature is book 4: Winter! WAH!!! It’s over. 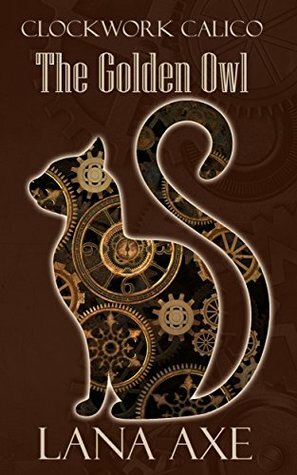 . .
It’s available in Paperback now so I can finally complete my collection! I’ve been waiting forever because I LOVE having all of my books matching (of course, I’ve had the eBook all this time so I could read it!)! 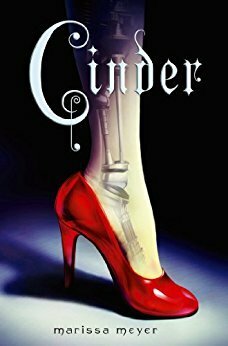 Continuing on my feature of Marissa Meyer’s incomparable Lunar Chronicles, this week’s feature is Fairest: the story of that most wretched of all evil queens! I detest stories that try to excuse a villain’s abhorrent behavior–and I was thrilled to find that this is not one of those and that is all I’m going to say because I simply refuse to chance spoiling it for anyone! But trust me… READ IT! 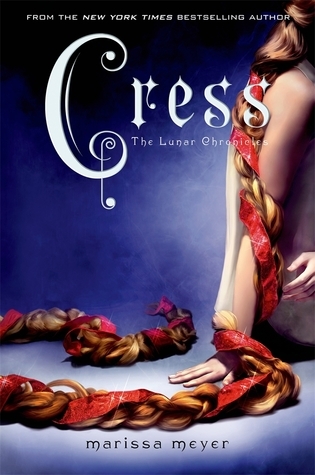 Continuing on my feature of Marissa Meyer’s incomparable Lunar Chronicles, this week’s feature is book 3: Cress! HELLO Thorne!!! Thorne reminds me of the clever and inventive reluctant hero from a certain NEW movie about the long haired fairy tale Princess. . . and I am not the only one! Oh my, Captain Thorne! Who doesn’t love a devious scoundrel! 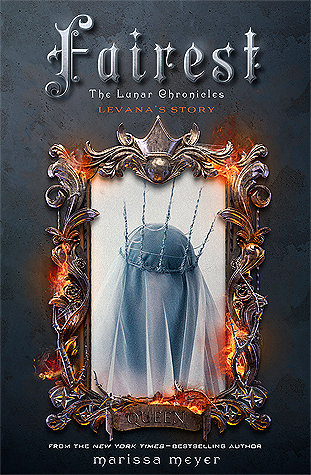 Last week I featured book 1 of the Lunar Chronicles series. This week, I want to talk about book 2. Halfway around the world, Scarlet Benoit’s grandmother is missing. When Scarlet encounters Wolf, a street fighter who may have information as to her grandmother’s whereabouts, she is loath to trust this stranger, but is inexplicably drawn to him, and he to her. 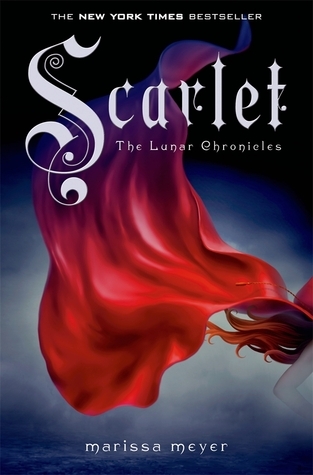 As Scarlet and Wolf unravel one mystery, they encounter another when they meet Cinder. Now, all of them must stay one step ahead of the vicious Lunar Queen Levana, who will do anything for the handsome Prince Kai to become her husband, her king, her prisoner. Too often, a sequel just does not live up to the original. Not so with Scarlet. This is an exceptional second installment! BRAVO Marissa!